Store in resealable plastic bag or tightly covered container. 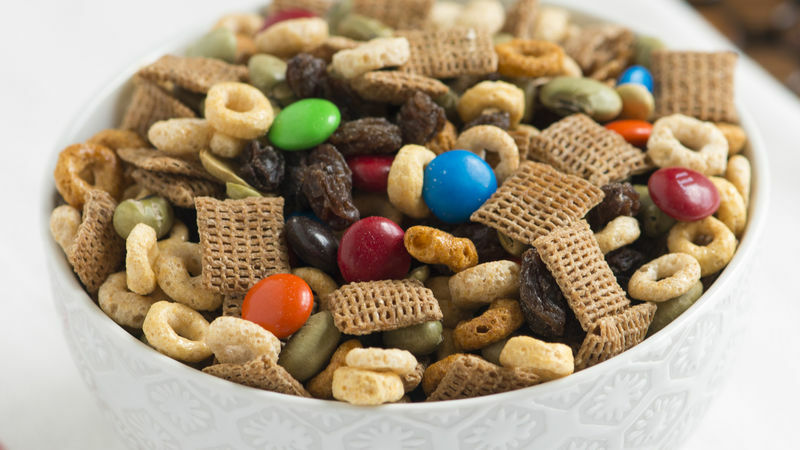 Cheerios cereal in this trail mix is made with oats. Oats are loaded with soluble fiber that helps to lower blood cholesterol--good for your heart. Replacing the raisins with dried cranberries makes the mix more colorful and adds a cranberry tang.